Photo inset: (Top-left): “Janavee,” who lives in the slum colony our native team works in, is grateful for the scholarship we have given her that provides the opportunity to pursue a quality education. (Top-right): A new building has been constructed next to our Nepal orphan home, which provides extra space for studying and eating. (Bottom-left): Our native team recently organized trafficking avoidance counseling classes for 305 teenage girls in Nepal. (Bottom-right): A girl who is currently in our Nepal rehabilitation program proudly shows off a sweater she learned to knit. 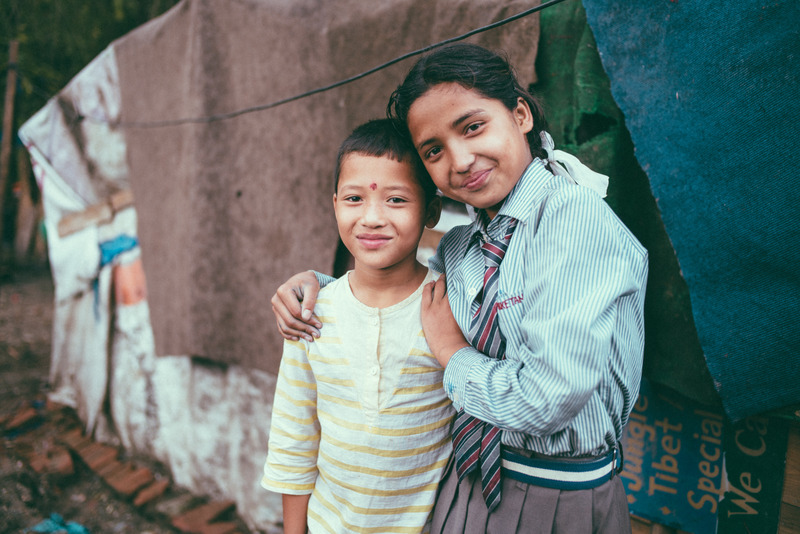 To round out the good news, our native team recently organized trafficking avoidance counseling classes for girls ages 13-17 in the heavily-trafficked areas of Kathmandu. This month we equipped 305 teenage girls through our training classes which are styled in a workshop and discussion format. We also reached 64 more girls through our door-to-door trafficking avoidance program in the surrounding villages, and 175 girls through our monthly border trafficking avoidance program for the girls who pass through the border.